What is the Sentry Home Household Fogger? Sentry Home Household Fogger is a flea and tick fogger that controls flea infestations in your home. 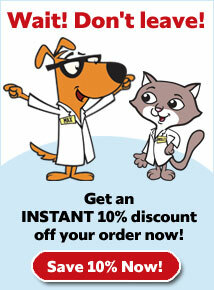 It kills fleas, flea eggs, and flea larvae, helping to break the life cycle of the flea. 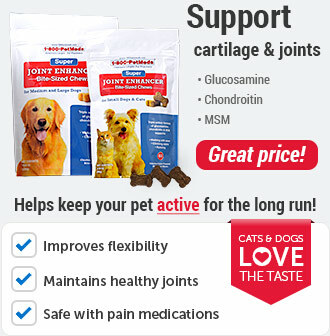 It provides continuous protection for up to 7 months (210 days). 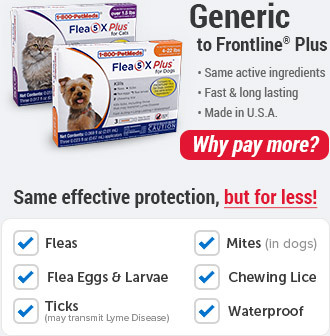 It not only kills the life cycle of fleas, but also kills ticks, cockroaches, ants, bed bugs, mosquitoes, wasps, and crickets - just to name a few. How does the Sentry Home Household Fogger work? 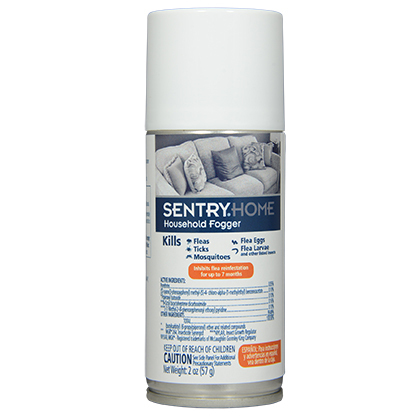 Sentry Home Household Fogger contains a combination of ingredients that kills both adult and hatching fleas. 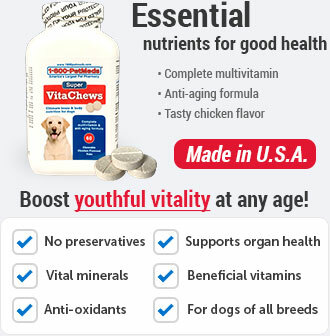 It kills hatching fleas before they grow up to bite. Nylar®, the insect growth regulator in this fogger, continues to kill hatching fleas for 210 days by preventing their development into adults. 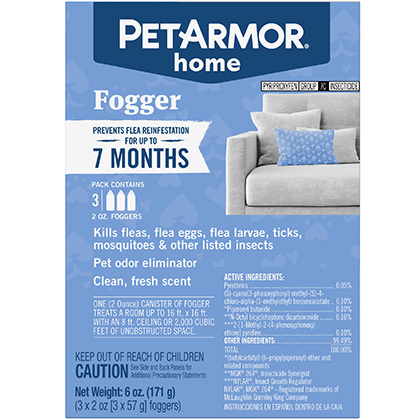 The fogger reaches fleas hidden in carpets, rugs, drapes, upholstery, pet bedding, floor cracks, and open cabinets. Occasionally adult fleas may be present in treated areas when reintroduced from infested pets. Sentry Home Household Fogger kills the following listed insects: Cockroaches, Sowbugs, Fleas (adults, larvae, eggs, pre-adult), Smokey Brown Cockroaches, Millipedes, Ticks (that may carry and transmit Lyme Disease), Brown Banded Cockroaches, Beetles, Brown Dog Ticks, Asian Cockroaches, Ground Beetles, Lone Star Ticks, German Cockroaches, Elm Leaf Beetles, Deer Ticks, American Cockroaches, Boxelder Bugs, Other Ixodid Species, Australian Cockroaches, Earwigs, American Dog Ticks, Waterbugs, Lice, Gulf Coast Ticks, Palmetto Bugs, Pillbugs, Foraging Ants, Clover Mites, Carpenter Ants, Dermestids, Centipedes, Granary Insects, Midges, Flying Moths, Flat Grain Beetles, Flies, Almond Moths, Cadelles, Rice Weevils, Gnats, Chocolate Moths, Flour Beetles, Cluster Flies, Tobacco Moths, Cigarette Beetles, Mosquitoes, Indian Meal Moths, Drugstore Beetles, Sciarid Flies, Indian Mealworms, Lesser Grain Borers, Firebrats, Angoumois Grain Moths, Merchant Grain Beetles, Silverfish, Hornets, Saw-toothed Grain Beetles, Booklice, Carpenter Bees, Grain Weevils, Bedbugs, Wasps, Warehouse Beetles, Wood Borers, Yellow Jackets, Red Flour Beetles, Grain Mites, Cheese Mites. For use indoors in: Apartments, Attics, Basements, Boats, Cabins, Closed Porches, Condominiums, Garages, Homes, Kitchens, Pet Sleeping Areas, Rooms. 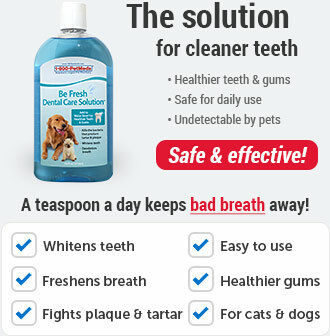 Not for use directly on your pets. Keep out of reach of children. Wash thoroughly with soap and water after handling. Avoid contamination of food or feedstuffs. For use only when the building has been vacated by humans and pets. Use according to instructions. After two hours of fogging, open all outside doors and windows, turn on air-conditioners and/or fans and let the treated area air for 2 hours before reoccupying. Use according to included instructions only. For best results, treat all infested areas. Use one fogger for each 2,000 cubic feet (approximately 16 ft x 16 ft x 8 ft ceiling) of unobstructed area. Use additional units for remote rooms or where the free flow of fog is not assured. Take off contaminated clothing. Rinse skin immediately with plenty of water for 15-20 minutes. Call a poison control center or a doctor for treatment advice. If Swallowed: Call a poison control center or a doctor for treatment advice. Do not induce vomiting unless told to do so by the poison control center. Do not give anything by mouth to an unconscious person. 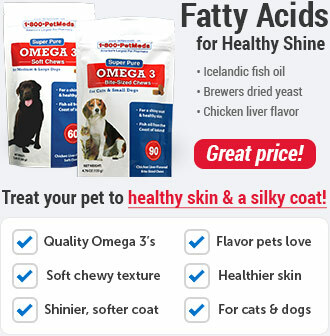 HAZARDS TO HUMANS AND DOMESTIC PETS: Harmful if absorbed through skin. Avoid contact with skin, eyes or clothing. Prolonged or frequently repeated skin contact may cause allergic reactions in some individuals. Wash hands thoroughly with soap and water after handling and before eating, drinking, chewing gum, using tobacco or using the toilet. Remove and wash contaminated clothing before reuse. PHYSICAL OR CHEMICAL HAZARDS: Highly Flammable Ingredient. Contents under pressure. Do not use or store near heat or open flame. Do not puncture or incinerate container. Exposure to temperatures above 130°F may cause bursting. This product contains a highly flammable ingredient. It may cause a fire or explosion if not used properly. Follow the Directions for Use on the label very carefully. Apply this product only as specified on the label. This product is for indoor residential use only. Do not use in aircraft cabins. For use only when the building has been vacated by human beings and pets. Do not remain in treated area. Exit area immediately and remain outside the treated area until aerosols, vapors and/or mists have dispersed. Wait two hours after application, and then open windows, vents, and doors for two hours. If an odor is still detected, additional ventilation is required. Do not use in food areas of food handling establishments, restaurants, or other areas where food is commercially prepared or processed. Do not use in serving areas while food is exposed or facility is in operation. Serving areas are areas where food is served, such as dining rooms, but excluding areas where foods may be prepared or held. Prior to space spray applications, cover or remove food, and cover food processing surfaces or clean after treatment and before use. Do not apply more than one time per day. Remove pets and birds, and cover fish aquariums before use. Before you fog, remove or cover exposed food and drinking water. Remove or cover dishes, utensils, food processing equipment and food preparation surfaces or wash them before use. Shut off all exhaust fans and close all windows, doors and ventilators. To Use This Product Correctly: One canister of fogger will treat a room up to 16 ft x 16 ft with an 8 ft ceiling or 2,000 cubic ft of unobstructed space. DO NOT use more than one fogger per room. DO NOT use in small, enclosed spaces such as closets, cabinets or under counters or tables. DO NOT use in a room 5 ft X 5 ft or smaller; instead, allow fog to enter from other rooms. Use of a fogger in an enclosed space may cause the product to explode, resulting in injury to people or damage to property. Before you Fog: Remove or cover exposed food and drinking water before application. Remove or cover dishes, utensils, food processing equipment and food preparation surfaces, or wash them before use. Remove pets and birds, cover and turn off fish aquariums before activating canister. Shut off all exhaust fans and close all windows, doors, and ventilators. Turn off ALL ignition sources such as pilot lights (shut off gas valves), other open flames or running electrical appliances that cycle off and on (i.e., refrigerators, thermostats, etc). Call your gas utility or management company if you need assistance with your pilot lights. Cover wood floors and wood furniture in the immediate area around fogger with newspapers or a drop cloth. Open cabinets, cupboards, drawers, closets, and doors in areas to be treated. Place a chair, small table, or stand in the center of the room to be treated, and cover with newspaper. For best results, treat all infested areas. Fill out and place hang-tag on the door to the treated area to alert family and others with access to the treated area not to enter for two hours. To Start Fogging: SHAKE WELL BEFORE USE. KEEP CONTAINER UPRIGHT. Immediately before activating canister, complete the door hang tag by filling in the time and date to instruct people not to enter the treated area (premises) for at least two hours following the time of activation. Hang the tag on the door to the entrance. Point the canister away from face and eyes when releasing (canister sprays straight up). To lock valve in open position for automatic discharge, press valve button down firmly, until it snaps into place. Break off and remove tab on side of sprayer. Tilt canister away from face (container sprays straight up). Once the canister has been activated, place the canister on the chair, small table, or stand (that is covered by newspaper) in the center of the room to be treated. DO NOT remain in treated area. Vacate the treated house, individual apartment unit or other structure immediately. Do not re-enter for 2 hours. Airing Out: Wait two hours after application, then open windows, vents and doors for two hours. If an odor is still detectable, additional ventilation is required. For more effective control of storage pests, open all cupboard doors and drawers for better penetration of fog. Remove all infested foodstuffs and dispose of in outdoor trash. For flea and tick control, thoroughly vacuum all carpeting, upholstered furniture, along baseboards, under furniture and in closets. Put vacuum bag into a sack and dispose of in outside trash. Mop all hard floor surfaces. For best results, treat all infested areas. Use one fogger for each 2,000 cubic feet (approximately 16 ft x 16 ft x 8 ft ceiling) of unobstructed area. Use additional units for remote rooms or where the free flow of fog is not assured. Pesticide Storage: Store this product in a cool, dry (preferably locked) place away from heat or open flame, and in an area that is inaccessible to children and animals. In case of emergency, Call: 1-800-781-4738.